People with mental illness have jobs, go to school and are active members of their communities. Yet many do not reveal their conditions for fear they’ll be perceived as unreliable for employment or in relationships. Many people can do very well with access to detection, diagnosis, treatment and ongoing care and support that can be provided on an outpatient basis. Ongoing treatment can become a normal part of an individual’s daily life. Across our family of organizations, we are committed to working together to defeat the stigmas and misconceptions about people with mental illness. In reality, those with mental illness can thrive as active, successful members of society. A variety of our services and programs create hope for people with mental illness. These include outpatient programs and mental health education classes, which provide a source of ongoing community support. A great example can be found in Alaska at the Providence Alaska Crisis Recovery Center in Anchorage. The center is a voluntary behavioral health facility that focuses on helping individuals manage their symptoms without hospitalization. Patients 12 and older can be referred to the program by their psychiatric providers. They also may be referred through the Providence Alaska Medical Center Emergency Department or by a mobile team that provides emergency psychiatric assessments throughout the community. The mobile team is a federally funded service that’s run by the psychiatric emergency department. The goal for all individuals at the center is to safely stabilize their psychiatric symptoms and improve coping skills to address their crises effectively. This program, like many others, allows people to achieve their career and academic goals while engaging in treatment. Because many people feel they have to hide their mental illness, the consequence is they are less able to access resources, treatment and support. 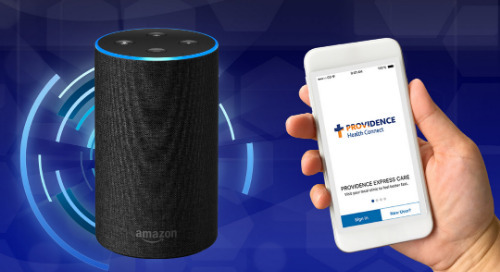 As an organization, we are tapping into the best expertise and research within Providence St. Joseph Health and across the country to identify and advance innovative solutions to better integrate mental health and wellness into physical care. The more we can increase the understanding that health care includes mind, body and spirit, the more people will be able to access the types of care they need. If you or someone you know needs help, reach out to a qualified health care provider. A good place to start is with your own primary care provider, who can coordinate care with other specialists, such as counselors, psychologists and psychiatrists. Don’t have a primary care provider? Visit this interactive map to find one near you.